Hi all most here know who I am and i have a serious issue with the charging port. Hi all most here know who I am and i have a serious issue with the charging port. Now like many threads here left unanswered on the issues surrounding the Nokia 7 Plus which I also have commented on and still no repsonse from anyone which is down right ignorant not to be addressed. Here is a video on this issue on the Nokia 7 plus check it out if you have the same problem please comment below as action needs to be taken with issues on this device . Update.. The phone will not charge now.Note there is no dirt or lint in device as not kept in pocket and also I have posted this on twitter and NO RESPONSE. is this how HMD and Nokia now treat long time loyal customers who spent thousands on their products along with support and promotion over the years??? I chat with the Nokia mobile care and what they said is, i must contact to the seller and ask for replacement. I also said that other people have this problem. I ask if the build quality is bad. They answered: we do not have such information at the moment, but i will transfer your feedback to the relevant department So nothing to answer to the problem at all. Update.. OK.. I live in Ireland and had to send my phone back to Hungary which is Rediculous to begin with. They have received my phone and said they would revert back when it's checked out. This is not good enough why should I have to return a device to another country when we hsve care centres here. Also I will point out it's not an option to repair either it's cheap housing which worn down I'll update when I have more information. I purchased this phone a couple of months ago and the USB Type C charging port has almost completely failed. I did not expect this from a phone that claimed 'Built Like a Tank' on their promo material. Sad indeed. An update.. Apparently it has been repaired if you can understand the email. I will revert back when i get the phone in hand and give it a good imspection,hopefully there is a repair sheet with it to tell me what was done. I have exactly same problem while charging. And its more annoying when I connect my phone to computer, it keeps disconnecting and connecting even just touching the phone or cable. I have to go to service center to get replaced its touch, which is also having problems. Then I'll try to explain the issue with the representatives. I have also been having the same problem over the last couple of days. The constant notification noise is deeply irritating. The screen scratched really easily, and now this. I am facing same problem. Build quality is poor. I remember my old Nokia 3300. People use to keep changing pin charger and trying to insert correctly multiple time to start charging there old Nokia phone. Legacy continued....!!!! hi there and, yeaahhh same Problem here. Testet on 3 Nokia 7 in Store, all have this. I have now my 3rd <---- , why, ? because of this Problem. 2, 3, 4, days, or 1 ,2 weeks or 1 2 months and all fits well but then, baaaam, wacky and Beep Beep charging noise. i had 3 talks to my seller and alot of Problems to get a new phone (as i said, ist now the 3rd). Same problem, frist i thought that it was data cable problem so i bought another branded cable from Amazon but facing again the same problem,now i noticed that it was the charging port problem. I, too, use the Nokia 7 plus, and for the past month have been experiencing this same, frustrating problem. 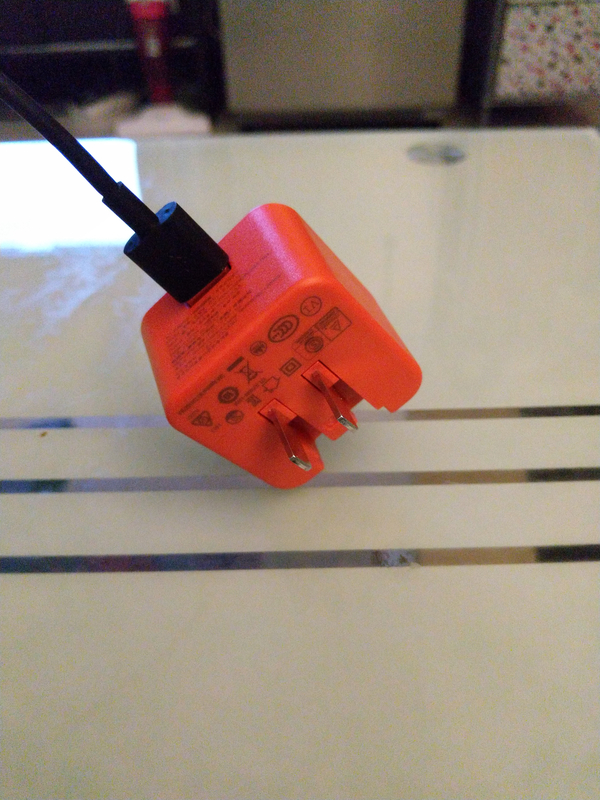 The solution I found (which may be unique to my experience) was to stop using the wall adapter provided by HMD Global out of the box. For a time, it worked well, but in the last month, would connect briefly, and then after 30 or 40 seconds, discontinue charging my device. I have another device (JBL Bluetooth speaker) which also implements 'quick charge' technology, and I attempted to use its wall adapter with my phone - as an experiment. I was happy to find that the charge was uninterrupted for the entire time that it was plugged in. So, my takeaway from this, after having experimented with different solutions, is that the wall adapter that was provided to me by HMD Global was faulty, and that there was no issue with the device itself, nor the USB Type-C cable. It's unfortunate that I must throw out the adapter, but at least I have something else that can do the same job. 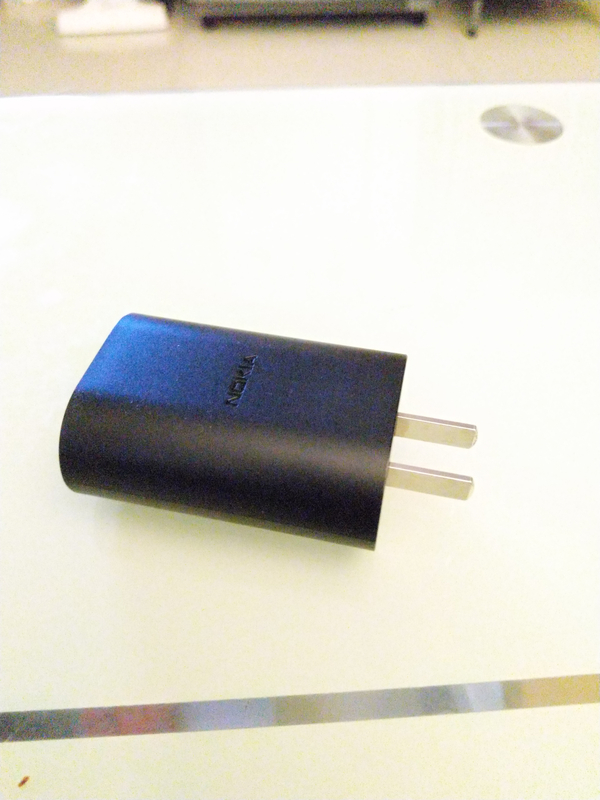 If you are experiencing charging issues with your Nokia 7 plus, might I suggest you give my solution an attempt. It might save you a lot of time and trouble. P.S. - I'm not saying: "Hey, run out and buy a JBL Charge 3." But, please do experiment with alternatives. I have the same issue and I've sent the phone to the Hungary's warranty center as per instructed by Nokia support center. Could you please tell me if the new USB-C charging port you got installed has in any way been redesigned compared to the old one ? Because if it hasn't, in 6 months the problem will be back. As I have studied this issue, it seems the port is not capable of holding the cable on a fix grip because of the back cover of the phone. The cover ends 1-2 mm away with a rounded finish and the cable is able to flex making the port loose in time. They should redesign the charge port or the back cover... any other USB-C I have studied has been implemented on a straight/plane surface exactly for this reason: edges must offer support. how about i replace the charging port with the samsung or other brand charging port to the nokia 7 plus? Hi... I am also facing the same issues in charging port..its not fit properly.. now not at all charging.. I didnt expect this from NOKIA,,"BUILD LIKE TANK??? I am very big fan of Nokia brand... I never used any other mobile brands in my life except nokia. After the android pie update lot of bugs.. if nokia will not consider this as an serious issue.. they will lose the market.. I am facing the same issue. The phone is now dead. I submitted the same to local nokia care and they are unable to solve the issue. Its been 12 days my phone has been submitted. I called Nokia India's toll free number and those guys have no clue regarding how to solve the issue and what to do. Response is verry poor. After sales service is worst. Replies I got from official Nokia guys are very silly, never expected this kind of replies. I really don't know exactly when i will get back my phone. Is it a kind of service nokia providing now a days?? Is nokia following any kind of sla?? Being a customer i am following up with them were as it's their duty to fix the phone and keep updating me about the same. I have the same charging issue as the YouTube video shows and was thinking maybe the metal band may bend at the port causing it to be loose and connect and disconnect. I’ve only had mine for 7 months and had to return it for repairs. I also have charging issues but the above video seems unavailable. 1. The phones stays on charging and I get the sign on top right battery symbol but its not charging neither its showing anything written like "Charging" on lock screen. 2. You have to try your luck by pulling the charging cable out and try reinserting with hope of getting "Charging" written on lock screen. This is daily hardship we have to go through. And because of sensitivity of charging port you will be never able to use phone while charging. 1. You left phone with "Charging" written on lock screen, you came used it a bit now it says "Charging" but still not charging. 2. This one is rare but most irritating- You left phone with "Charging" written on lock screen and as screen goes off and you light up screen neither its charging nor any symbol in batter symbol or any thing written now on lock screen. You have to push the charger bit inside again or go back with rotating it 180 degrees and try luck. My phone is not much old like 5 months old. I changed the charger and charging cable but all same. Going to Nokia Service Center is waste as service is provided by third party and they say at least 20 days to get phone back, I don't have 20 days to stay without phone. We have many dependent tasks on our smartphones. Do NOT use the 3rd party service, just open a ticket in the support app from within the phone. I've got my phone back from the official Nokia service in Hungary, they replaced the charging port, phone is OK for now. The looseness is still there, much more reduced, but still there. Too bad for the phone, though. It's a great one, too bad HMD screwed this big time. Will be the last Nokia for me for a long time from now on, too. after 5 month usage , after recent update i, also facing charging port issue. and application hanging itself. Anyone from @Nokia? @HMD_Laura got any update on this? Facing same problem after got my replacement device(after a month follow up and lots of discussion). Very poor quality of the device. Not sure what i can do after this...May be not to recommend Nokia to others?! I have also started facing the same charging port issue. It charges only in a certain position. A slight change in the position and it stops charging. Same charging problems, and It is a pity that Nokia do not answers and come with solutions!! !